Check Images and data export facilities using Quicken. Opening a new banking account is a three-stage process. 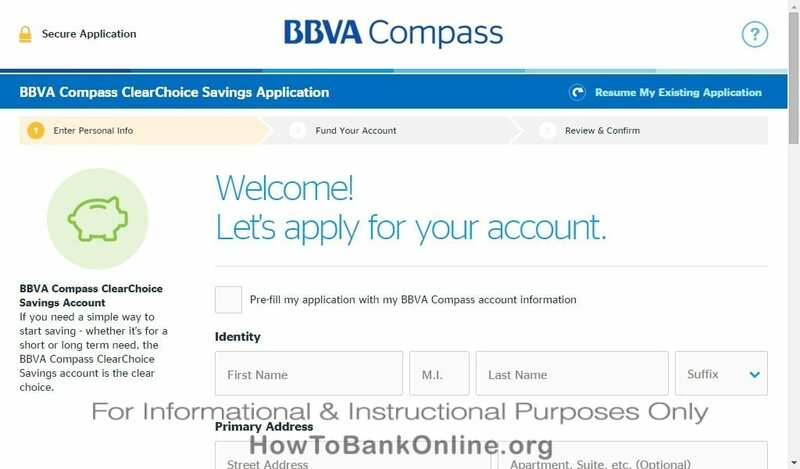 Enter personal info, then fund your account, and finally review and confirm to begin banking with BBVA Compass. You require a valid ID proof during the Signup. In addition, you may decide to open a joint account during the registration. You must accept the Electronic Communications Agreement to proceed with new account opening. BBVA Compass offers secure communication through providing HTTPS enabled URL along with a padlock icon in the address bar. In addition, it offers Rapport Security Software to all customers to improve security while accessing various menus of online banking. 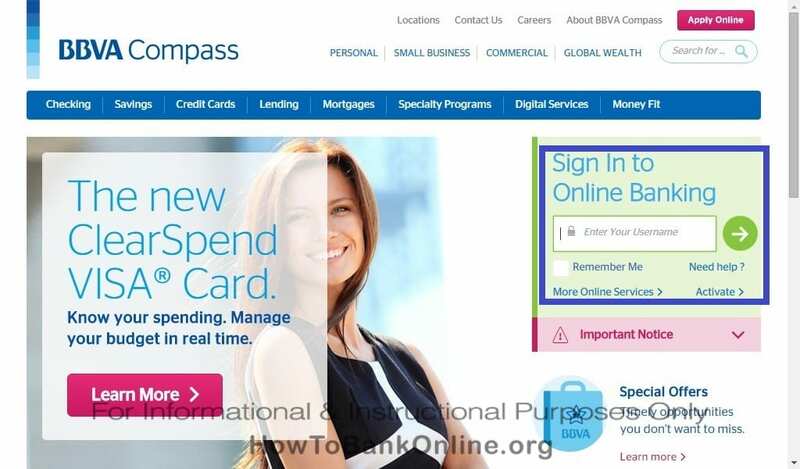 Accessing various features offered in online banking at BBVA Compass is simple and you can begin the online banking experience by entering your username right on the homepage of the bank’s website. Please do not mark Remember Me box while using public networks and computers. 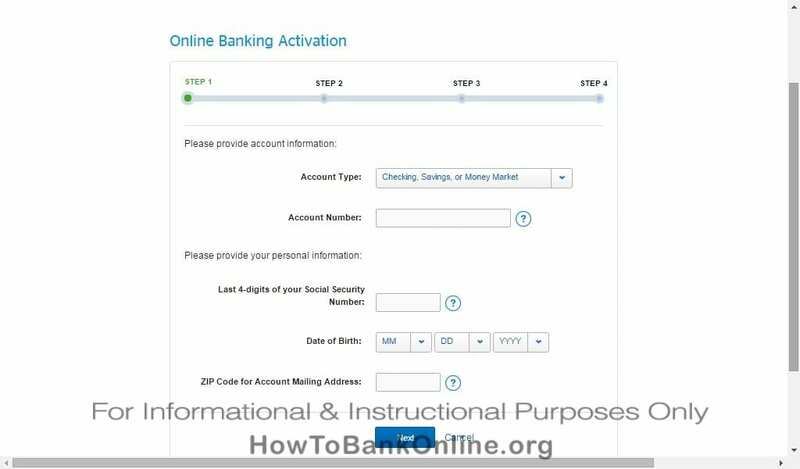 Online banking activation is required. It is a four-stage process and it starts by selecting your banking account type and account number with BBVA Compass. 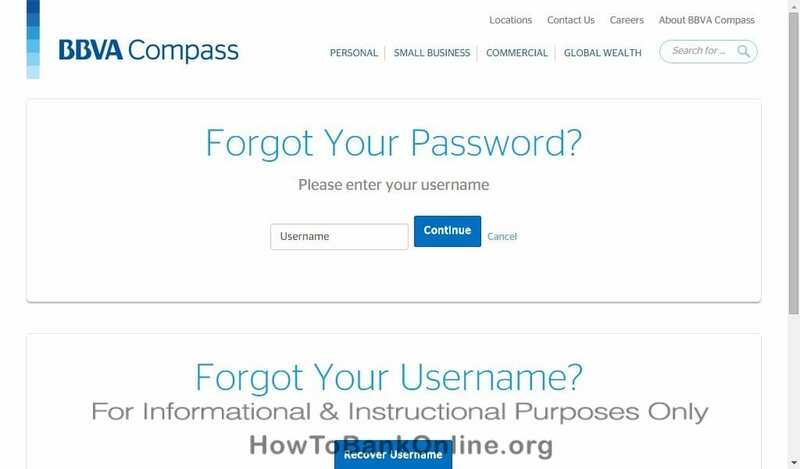 BBVA Compass offers online password and username recovery to help customers to enjoy uninterrupted online banking services. Customers can select the type of help they seek and follow on-screen prompts to restore a password or username.